There are a number of ways that woodland can help slow and store water, and reduce flood peak. Woodland on the floodplain acts as a barrier to flood flows and increases the distance that water travels across the ground. The leaf litter that accumulates under trees also acts as a sponge for flood water, which is then gradually released, or seeps into ground water. Trees also delay the passage of rainfall through their branches, increase the infiltration of water into the ground via roots, increase evaporation, and slow the passage of over ground surface water. 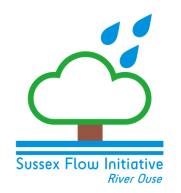 Since we started work in 2012 we have planted over 40,000 trees across the River Ouse catchment - both on the floodplain and in the wider catchment area. We currently have a range of tree offers for farmers, smallholders and other landowners.